B & M Auto Collision Center employs only the best trained technicians in the area to repair your damaged automobile. Our I-CAR certified technicians are skilled to ensure that your auto body repairs are completed properly and that your vehicle is restored to pre-accident condition. At B & M Auto Collision Center we use state of the art equipment including on-site laser alignment, frame laser measurement, and spot welding. B & M Auto Collision Center is a preferred auto repair shop by major insurance companies as part of their Direct Repair Program. 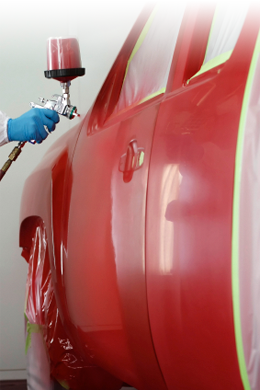 B & M Auto Collision Center's quality paint application makes a difference. 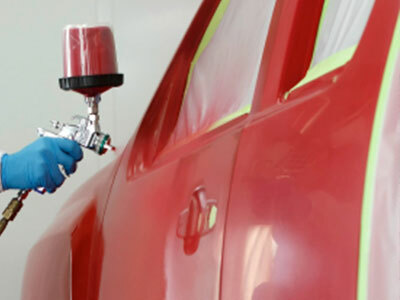 Our experienced I-CAR certified auto paint technicians follow industry standards preparing the body surface, applying primer, paint and finish coats that will return your vehicle to as good as new. We also use full downdraft baking paint booths. 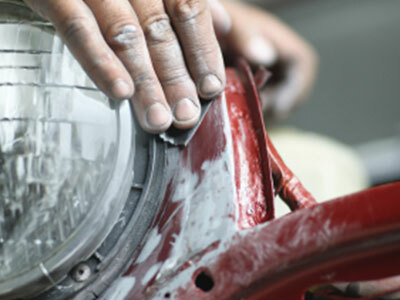 We warrant our auto body repair and paint work for as long as you own your car. An automobile accident is unexpected and unplanned in most people's budgets. A big concern people have after getting into an accident is just how much the repairs will cost. At B & M Auto Collision Center, our experienced customer service estimators work harder than our competitors to ensure that our estimates represent the actual cost of the repair work. Estimates provided by your insurance company are reviewed closely to ensure that there are no oversights and that scope of repair is complete. Our estimates are free. Make an appointment at your convenience. As our slogan says: "An auto accident is a traumatic experience! We ease the pain." With the frustration that comes from an automobile accident, the worst thing that can happen is poor communication between you and your auto body repair shop. 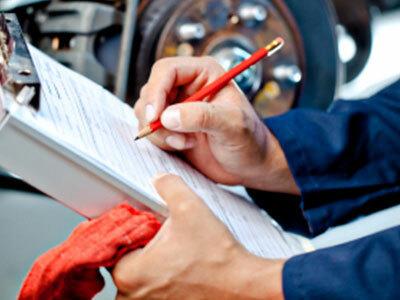 At B & M Auto Collision Center, we consider quality customer service and communication part of the repair process. We pride ourselves on quality communication, and ensure that you are kept "in the loop" as things progress with your auto body repair. Mowimy po Polsku • Se Habla Espanol. 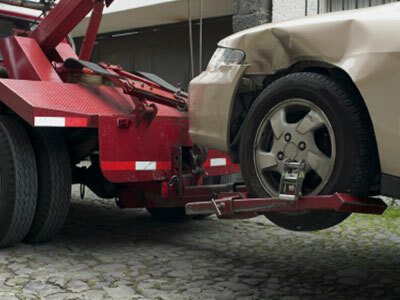 When you have been in an accident, it's often a hassle to get your car towed to your preferred auto body repair shop. At B & M Auto Collision Center, we've made this simple. We've teamed with A AllStar Towing to provide you a towing service whenever you need it; 24 hours a day, 7 days a week. Call 773.725.6860 to schedule a tow. Depending on the nature of your accident, the repairs may take several days to be completed. When this happens, replacement transportation is a must. B & M Auto Collision Center has a long standing relationship with Enterprise Rent-A-Car. We can quickly and efficiently arrange a rental car for you to ensure that your day to day life is not stopped as a result of your automobile repairs. 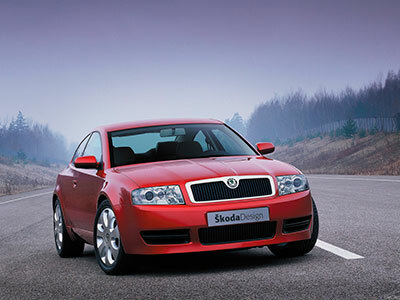 When you drop off your car we will arrange for Enterprise Rent-A-Car to pick you up. Please feel free to call us at 773.685.3200 or email to info@bmautocollision.com. as a leader in the industry. B & M Auto Collision serves the following Chicago Area: Algonquin, Alsip, Antioch, Arlington Heights, Aurora, Batavia, Barrington, Barrington Hills, Bartlett, Bedford Park, Bensenville, Berkeley, Berwyn, Blue Island, Bridgeview, Broadview, Brookfield, Buffalo Grove, Burbank, Burr Ridge, Calumet City, Calumet Park, Carpentersville, Chicago, Chicago Heights, Cicero, Country Club Hills, Countryside, Crestwood, Crete, Deer Park, Deerfield, Des Plaines, Dundee, Elgin, Elk Grove Village, Elmwood Park, Evanston, Evergreen Park, Flossmoor, Forest Park, Franklin Park, Geneva, Glencoe, Glenview, Glenwood, Gurnee, Hampshire, Hanover Park, Harvey, Hazel Crest, Harwood Heights, Hickory Hills, Highland Park, Hinsdale, Hoffman Estates, Homewood, Huntley, Indian Head Park, Itasca, Inverness, Kenilworth, Justice, La Grange, Lake Forest, Lake in the Hills, Lake Villa, Lake Zurich, Libertyville, Lansing, Lemont, Lincolnwood, Lyons, Maine Township, Markham, Matteson, Midlothian, Montgomery, Morton Grove, Mount Prospect, Melrose Park, Naperville, Niles, North Lake, Northbrook, Oak Forest, Oak Lawn, Oak Park, Olympia Fields, Orland Hills, Orland Park, Oswego, Palatine, Palos Hills, Palos Township, Palos Park, Park Forest, Park Ridge, River Forest, Riverside, Rolling Meadows, Rosemont, Roselle, Schaumburg, Schiller Park, South Barrington, Streamwood, Sugar Grove, Summit, Tinley Park, Vernon Hills, Westchester, Western Springs, Wheeling, Wilmette, Winnetka, Willow Springs, Wood Dale, Woodridge, Worth, Yorkville and more.